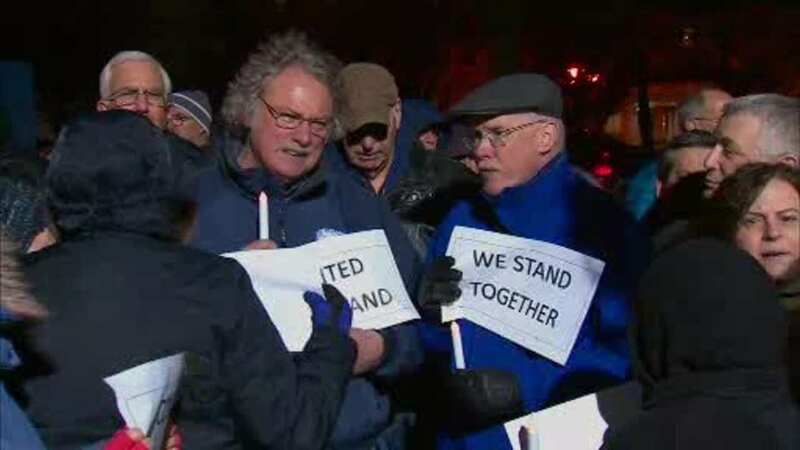 PLAINVIEW, Long Island (WABC) -- A celebration of unity was held on Long Island Thursday night after Jewish Community Centers across the country and in the tristate area were the target of bomb threats. A candlelight vigil took place at the Mid-Island Y JCC in Plainview which was threatened on January 18th. An interfaith coalition is condemning the rise in anti-Semitic threats. In New Jersey Friday, Governor Chris Christie will be among those gathering at a vigil at a JCC in Tenafly.